I started my first journal at the age of 11. It began as something I would do each day, where I wrote about my friends, my crush, things that made me angry, and hobbies that I was into at the time. It was something that I did for fun, and it was something that I didn’t share with people. I was afraid that people would make fun of me, or even worse, read my journal (a mistake I had made in the past by reading someone else’s). I continued journaling for years, but never really shared this hobby with anyone. It was something that I kept for myself, and it ended up becoming one of my biggest passions. My journal is a place where I can express my deepest thoughts without holding anything back. In my journal, I make lists, write about my career goals and dreams, create art, make monthly music playlists, write about my adventures with friends, let out my anger, and reflect on life. Writing in my journal has been my way for me to express my creativity, and organize my thoughts. It helps me clear my head. It has also been a way for me to draw and express my thoughts through art. Journaling has been the one thing that helps keep me productive and calms me down in times of stress. Looking back at my past journal entries, I am able to see my growth and reflect on how quickly my life has changed. My writing style and journals as a whole have changed drastically. Through my writing, I have been able to learn and mature from past experiences. I’ve learned that when faced with challenges and difficult times, there is always a way to overcome them and that everything really does happen for a reason. From the moment I started to journal, I knew that writing was something I really enjoyed doing, but I never thought that it would have such a big impact on who I am. Journaling has given me a sense of direction and it has helped shape the course of my future. This past year I have discovered and developed my passion for journalistic writing. Journalism is a way for me to be able to share important stories with the world and also be able to write about my own opinions and experiences. 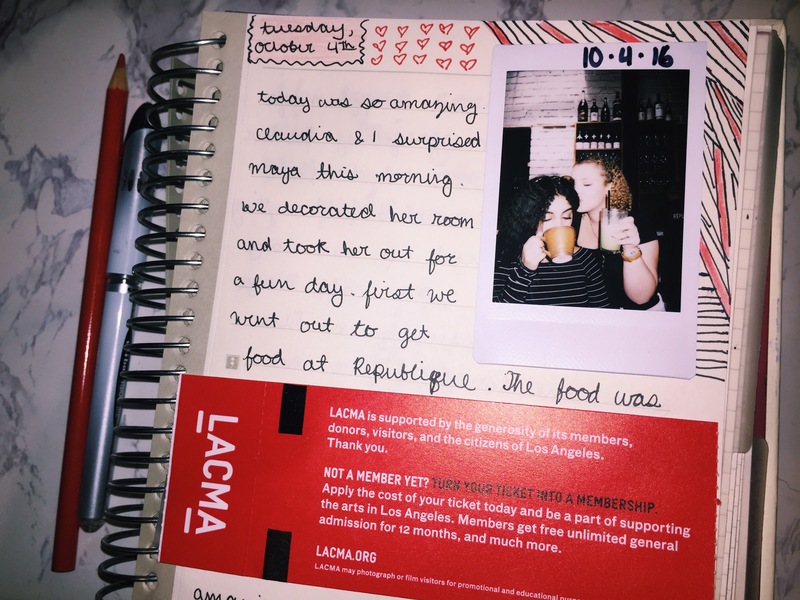 Journaling has always been such a big part of my life, and now it has developed into a pursuable career path where I would be able to share my authentic thoughts with others. I am not sure what the future holds for me, but I am certain that I will continue to write and journal about my experiences, as well as share my voice with the world.